Kim Grommoll brings you a fantastic giclee art print of the Serenity! 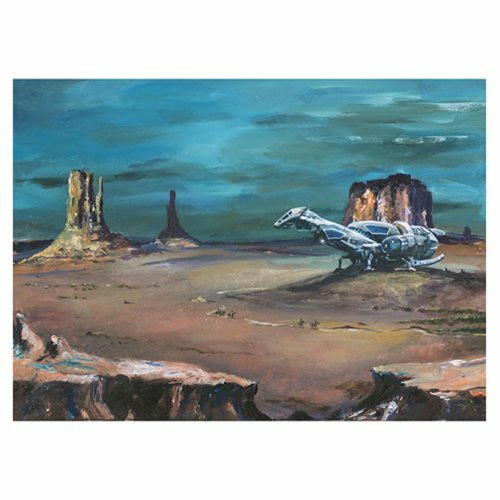 This Firefly Cowboys at Dawn by Kim Grommoll Canvas Giclee Art Print would be a stunning addition to any Firefly or Serenity fan's collection. Printed on canvas, this giclee measures 22-inches tall x 16-inches wide and is a limited edition of 95 pieces hand-numbered and signed by the artist! Comes complete with certificate of authenticity.